PSJA North Theater department was one of 50 nationwide to receive a $10,000 grant from NBC RISE. The school was selected among 1,000 applicants and its only one of three in the state to make the cut. 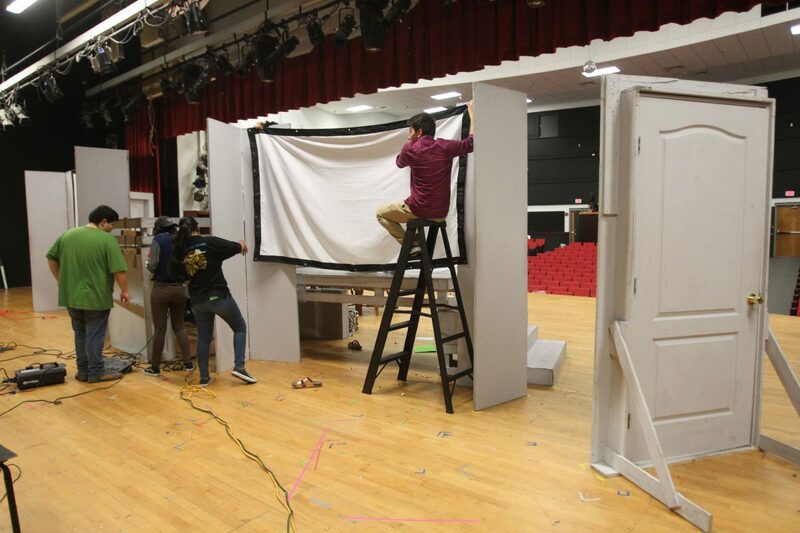 Students prepare the stage for "She Kills Monsters," Monday March, 5, 2018 in Pharr. 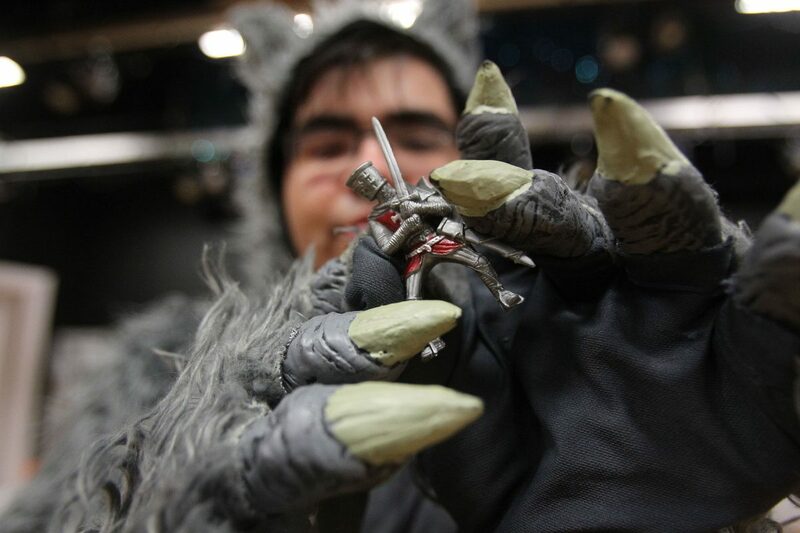 Diego Sifuentes, 15, dressed up as a Bug Bear, holds up a miniature warrior before the dress rehearsal of PSJA North's "She Kills Monsters" on Monday, March, 5, 2018 in Pharr. 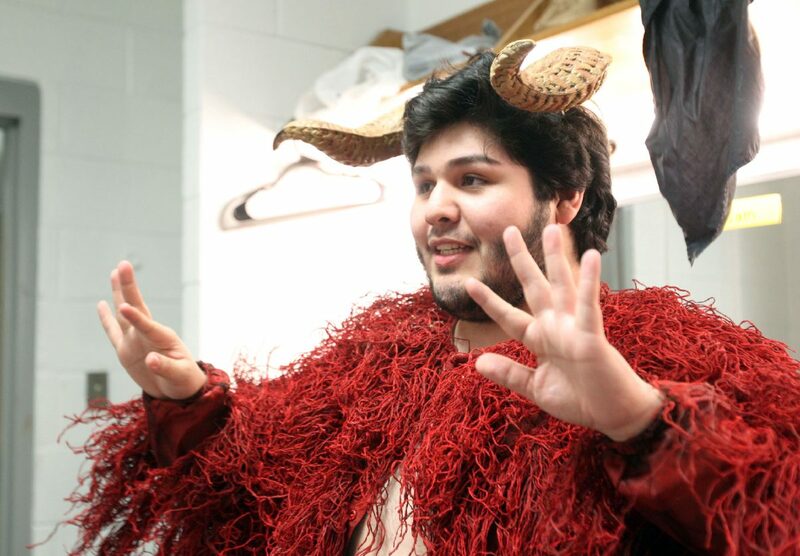 Ismael Torres, as Orcus, getting dressed backstage at PSJA North on Monday March, 5, 2018 in Pharr.